Founded by home brewers Kevin Finn and Mark Edelson and restaurateur Kevin Davies in Newark, Del., in 1996, Iron Hill Brewery & Restaurant has blossomed from one restaurant and brewery to 12 locations across the mid-Atlantic. In 2014, Zagat honored Iron Hill by naming them the most popular restaurant in Philadelphia, and their beers have earned 44 medals from the Great American Beer Festival in an unbroken 19-year winning streak that continues today. In November 2016, Iron Hill will celebrate their 20th Anniversary. That 12th location, in Huntingdon, Pa., just opened last week, and we have the photos to prove it. Behold. 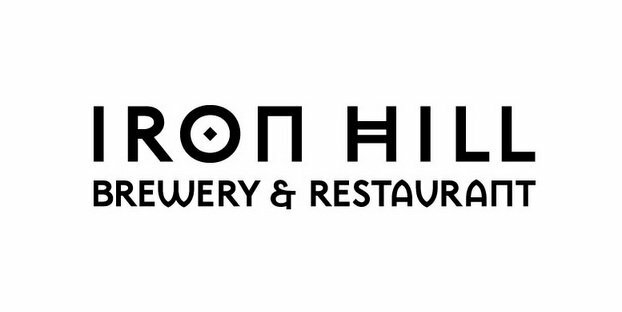 The newest Iron Hill will focus on serving hand-crafted beer and from-scratch food, using only fresh, high-quality ingredients designed to delight customers, all with the invitingly casual service and welcoming setting that have become the company’s signature over the past two decades. Co-Founders Kevin Finn, Kevin Davies and Mark Edelson will continue Iron Hill’s company-wide commitment to giving back to the communities where their brewpubs are located through a range of ambitious and worthy charitable initiatives. Head Brewer Doug Marchakitus will guide brewing operations in Huntingdon Valley after spending the past three years at Iron Hill North Wales and will open with Iron Hill’s six house beers on draft. In addition, Iron Hill Huntingdon Valley will serve the brewery’s most award-winning beers spanning their 20 years in business, including Bedotter, Crusher and Mahalo, Apollo! Following Iron Hill’s forward-thinking brewpub model, where each individual location has their own head brewer, Marchakitus will be free to experiment with interesting ingredients in the brewhouse and will debut Hopicana, a brand new IPA brewed with Chinook hops and infused with orange zest. Finn, Davies and Edelson enlisted Street Sense, a design firm with offices in Bethesda, Md., and Washington, D.C., to create their new Huntingdon Valley restaurant, featuring comfortable dining areas, an open kitchen and an exposed microbrewery. The architects have created a brighter, more contemporary design allowing for all-access views of the brewery, which is highly visible behind the bar and enclosed in glass. Iron Hill Huntingdon Valley’s open footprint also showcases convivial communal tables and reach-in refrigerators at the host stand, permitting guests ample opportunities to take home their most popular and award-winning seasonal beers in both 16-oz cans and 750mL reserve bottles. Huntingdon Valley will also feature Iron Hill’s first-ever Beer Garden, an outdoor bar and patio area with 40 communal seats and tables, complemented by free-standing Adirondack chairs, that will remain open in the brisker months (except winter), with the addition of heaters. The outdoor bar, covered by a canopy, will include 16 draft taps and a thoughtful selection of house wines. The restaurant’s full menu of tantalizing shared plates and composed dishes will be offered to guests choosing to dine al fresco. The Beer Garden will open in early August. Iron Hill Huntingdon Valley marks another massive step in the careful growth of the company, after announcing their partnership with A&M Capital Opportunities, a private-equity firm. @CraftBrewingBiz @IronHillBrewery Been there already! Great space with new me menu items too. Amy Zumba liked this on Facebook.